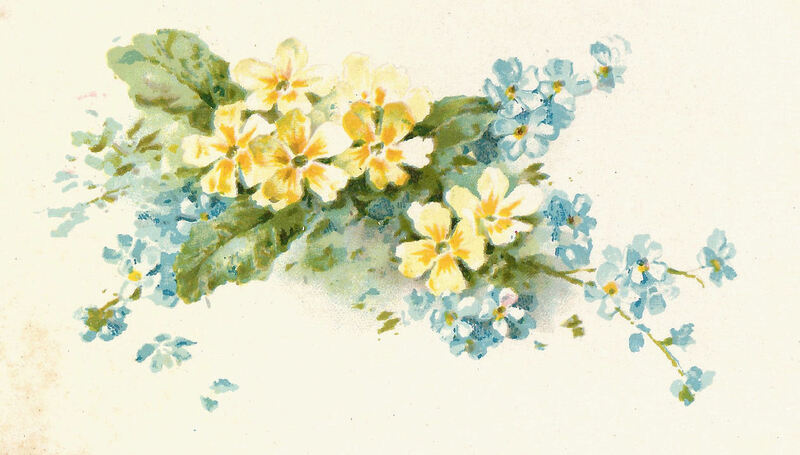 This is a pretty vintage flower illustration from a little poetry book. I love the blue and yellow flowers together. What a lovely flower graphic for your projects. Enjoy! 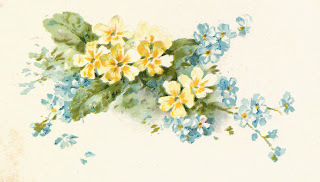 Thank you Carolyn, this is so lovely with the yellow primroses and the forget-me-nots. I put it on the screen of my phone, it definitely looks spring like.